This year's Inner Forth Festival, which is taking place throughout September 2016, is nearly at an end, as we celebrate the unique history, wildlife and people of this great part of the world! There have been a whole range of events and activities - with something happening on nearly every day in September. We've tried to make sure that there is something for everyone - whatever your age, wherever you live in the area, and whether you are interested in history, wildlife, or just like getting out and about in our fantastic landscape. And all our events are FREE, thanks to the way we are funded by the National Lottery through the Heritage Lottery Fund! There have been archaeological surveys, a specially-written play, moth mornings, bat hunts, history-themed bike rides, healthy walks, fascinating exhibitions and talks, a rare chance to climb an ancient tower, scrub bashing, wildlife workshops, and loads more exciting and fun ways to discover, explore and get involved in the Inner Forth landscape. In all 33 events, organised by 15 different organisations, have been taking place during the month. Last year over 1000 people came along to these events, and we had some great feedback from people saying how much they had enjoyed their day, and what a fantastic place the inner Forth is. This year we think we have increased that number, which is great news. We are very grateful to the huge range of organisations and volunteers that make the Festival possible by organising, running and supporting the month’s events. We really couldn’t do it without them! Once the month comes to an end we will be posting a round-up of some of the highlights, so do watch this space to find out more.! 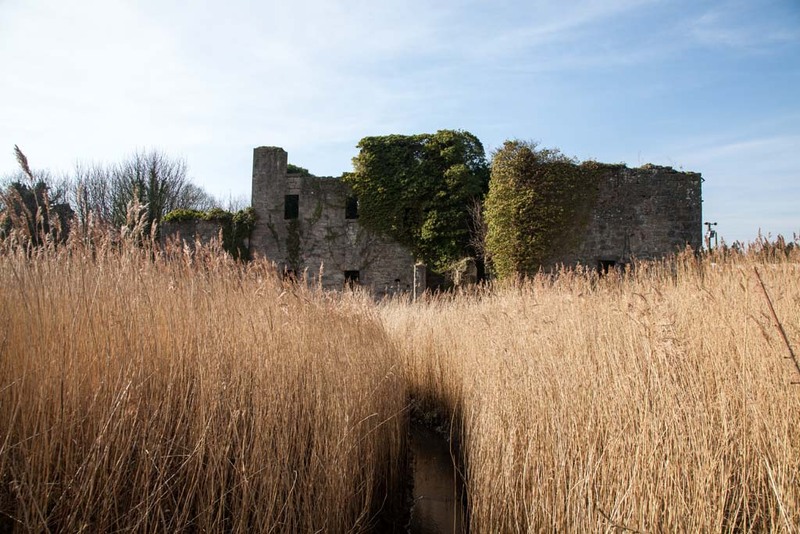 The historic Kennetpans Distillery, near Kincardine, will be the focus of a whole weekend of free activities organised by the Inner Forth Landscape Initiative next week. Whether you’re interested helping discover more about the building’s rich history, recording some of the wildlife that now makes Kennetpans its home, or capturing the site in sketches, there will be an activity for you. Built in the early 18th century, Kennetpans was once one the country's largest and most technologically advanced distilleries, producing vast quantities of spirit, which was exported far and wide. Before shipping, the spirit was stored in a large warehouse behind the main distillery building. The primary focus of IFLI's Wee Dram at Kennetpans project, led by Historic Environment Scotland, is this distillery building, which is undergoing extensive clearance and consolidation to preserve it for future generations. But IFLI would like to know more about the wider site, and has teamed up with AOC Archaeology to work with volunteers to undertake a weekend project focused on the warehouse building. On Saturday 9 and Sunday 10 July you can join the IFLI team to help survey the building and produce an accurate record of its current condition. There will be a whole host of activities, from archaeological survey and drawing through to photogrammetry and laser scanning. These days the whole site is quieter with much of it being reclaimed by nature. Stonework is covered in ivy, the warehouse now ‘stores’ woodland and the mudflats by the pier provide food for wading birds. As part of the Kennetpans weekend, IFLI and Buglife will be carrying out a free Bioblitz on Saturday 9 July – a rapid survey of wildlife of all types – and local people are invited to take part. Whether they are experienced naturalists, students looking to develop identification skills, or a family with an interest in nature, there will be something for them. IFLI will be aiming to explore the site and create as many new wildlife records as they can. IFLI plans to add these new records to the Inner Forth Nature Counts iRecord form which is helping to build a better picture of wildlife in the landscape. On Sunday 10 July people can learn speed sketching skills and tips from Mark Kirkham, the Edinburgh Sketcher. During the sketch tour you can learn or improve speed sketching skills and pick up new tips which will allow you to document and survey the world around you in ink on paper. All ages and abilities will have the chance to draw in ink and watercolour, and take away a mounted piece of work, following a sketching tour around the Kennetpans Distillery. All the events are free to attend thanks to the way IFLI is funded by the National Lottery through the Heritage Lottery Fund. Are you interested in nature? Would you like to discover a new wildlife haven and learn more about the species that live there? The Inner Forth Landscape Initiative (IFLI) is hosting a series of walks in Falkirk, Fife, Stirling and Clackmannanshire to showcase its project sites and explore the wildlife in more detail. Local people are invited to come along, enjoy the walk and use some simple wildlife identification techniques to unlock the secrets of each unique location. The Inner Forth Landscape Initiative is responsible for six Survey Walk routes in a range of locations with a team of registered volunteers who have been walking these routes on a regular basis, identifying wildlife and recording their sightings. These upcoming events are an opportunity for existing volunteers to share the experiences and knowledge they have gained in the process of getting to know their adopted Survey Walk, and to encourage new people to get involved. The sessions will consist of a guided walk where established volunteers and newcomers can share their observations and work together to record new species. With the help of IFLI’s Wildlife Recording Assistant, attendees will walk the route and spend some time identifying plants, birds, mammals and insects. Results will be contributed to the National Biodiversity Network recording scheme, which will help future conservation work and research. IFLI is keen to encourage people of any experience level to join in the walk and learn more about the area, the wildlife and the ongoing work of the Inner Forth Landscape Initiative. · Friday 17th June, 5pm – Kinneil Estate, Bo’ness. · Friday 24th June, 10am –Valleyfield Estate, High Valleyfield. · Wednesday 27th July, 1pm - Fallin Bing, Fallin. · Friday 19th August, 1pm - Devilla Forest, Kincardine. · Saturday 24th September, 2.30pm – Black Devon Wetlands Reserve, Alloa. These workshops are part of a suite of activities and events that will be organised over the next two years as part of IFLI’s Forth Nature Counts project. The project aims to generate wildlife records and give people the confidence and skills to record nature throughout the Inner Forth, and is funded by the Heritage Lottery Fund as part of the National Lottery. Over 120 runners joined in the May the Forth Fun Run at Bo'ness! You can check times and placings here. IFLI worked in partnership with The Friends of Kinneil to organise the event, with lots of help of course! Despite the darkening skies and strong winds, runners from all around the Inner Forth area and beyond turned up to tackle the 4-mile, off-road course. All the runners were awarded special ceramic 'medals' cast from shells and stones from the Bo'ness Foreshore, made by Falkirk potter Susan Wade French. The winners also received hand-thrown plates showing the view across the bay of the Inner Forth. Our thanks to all the runners, volunteers, and organising team (Falkirk Community Trust, Falkirk Council, Bo'ness Chiropractic and Sports Massage, Friends of Kinneil Foreshore Group) for their support. There are loads of photos and a provisional results list at https://www.facebook.com/events/1688192378136558/. We will be posting more, along with the final results list very soon. If you did take part we hope you had a great time, and will give us your feedback. Images: In keeping with the theme of the day, Princes Leia helps with registration! ; Runners wait to get started; British Olympic marathon runner Freya Ross (in pale green) gave out the prizes to the winning runners, helped by Rob Storey of Bo'ness Choropractic and Sports Massage (l), who came up with the original idea for the run. Details of the winning names at https://www.facebook.com/events/1688192378136558/. Would you like learn more about the moths of the Forth estuary area, practise your identification skills and contribute to a national species recording scheme this summer? The Inner Forth Landscape Initiative (IFLI) has teamed up with local moth enthusiast Professor David Bryant to run a series of seven fun, free workshops called ‘Mothing Around the Forth’ which will give people of all ages a chance to discover more about this declining species, have a go at moth trapping and generate wildlife records for Butterfly Conservation’s UK wide survey of moth numbers and distribution. 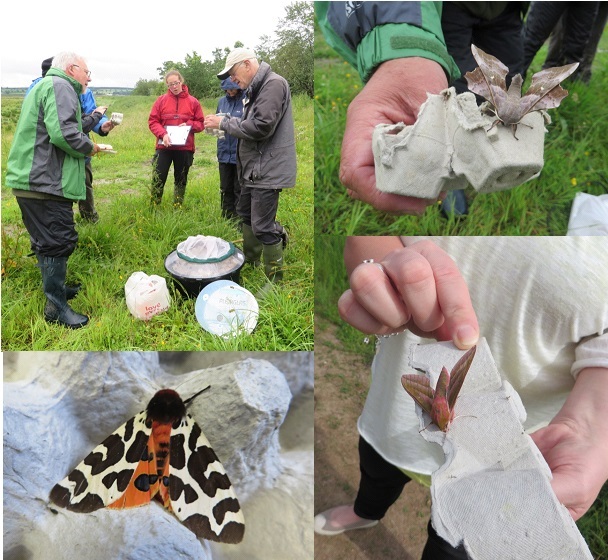 On 14th May from 08.30am to 12 noon, the first workshop will introduce the range of moths found at different times of year; give you a chance to get started on moth id and using identification guides as we open moth traps left out overnight at the RSPB Skinflats Reserve near Falkirk; and enable you to build and take home your very own simple moth trap. All materials will be provided free of charge thanks to IFLI’s funding from the National Lottery through the Heritage Lottery Fund. We ask that attendees of the first session can commit to attending at least three additional sessions, but ideally more so that you can build your moth identification confidence and see the different species of moth found in a range of locations.